SAVE £90.00 ! ! ! 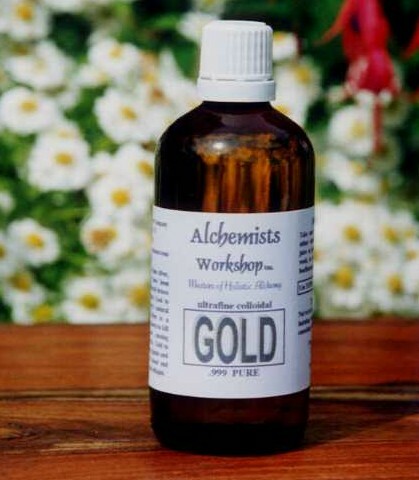 Colloidal Gold has strong unequaled effects on physical health AND emotional health. Besides making you feel happier with yourself and those around you, it will relax you almost to the point of happy passivity. The interesting paradox is that at the same time of causing complete relaxation and calming of your entire neural system, it has the proven ability to increase your IQ up by 25-35% when 3.5ml is taken sublingual each day for a month or two. Using colloidal gold to treat painful conditions of muscle and joints derived from rheumatoid arthritis, has been successfully used over the past decades, and in its finely powdered form for millennia. (powdered gold is not recommended because of possible complications due to build-up within the body because of particle size). There are also benefits of using ultrafine colloidal gold to help in the treatment of Parkinsons Disease and many other brain degradation conditions. Controlling the hearts natural rhythm is another benefit related to ultrafine colloidal gold. So if you just want to kick back and relax without going into the details any further, you can just click Below as we only make the finest ultrafine quality colloidal gold with the greatest efficacy. CHRYSOTHERAPY or Gold Therapy has been used for therapeutic applications as far back as the ancient Egyptian and Chinese civilizations. The use of Chrysotherapy has been to reverse, inhibit or prevent the pathogenic progression in rheumatoid arthritis that damages cartilage, bone and other connective tissues by direct or indirect action of oxygen radicals and the inflammatory /immunological injury that follows. Gold provides an approach for gaining additional insights into the metabolic, biochemical, immunological, and inflammatory pathogenic mechanisms. Arthritis, Hypertension, Skin Conditions, Heart Rhythm, Depression, Inflammation, Circulation, Pain and Stress Relief, Nerve Complaints, IQ booster, glandular function and libido. The healing possibilities regarding gold treatment include immunoregulatory activity, inhibition of infections (viral and bacterial), stabilization of collagen and inhibition or release of lysosomal enzyme activity. It will help create a balancing and harmonizing effect on regulating the rhythmic action and healing activity of the heart, improve blood circulation, rejuvenate sluggish organs (including the brain), assist the digestive system, as well as promoting renewed VITALITY and LONGEVITY. Colloidal Gold has been found useful in cases of regulating and coordinating glandular and nervous systems because it helps to rejuvenate glands and stimulate nerves. It helps release pressure on neural pathways allowing nerve signals to function unimpeded and reach various organs and glands. Colloidal Gold can also help to regulate body temperature. Gold is a catalyst for endorphin-like hormones, as well as the antioxidant enzyme SOD. Found effective when used internally, to boost, correct, balance and heal body's neural system and open neural pathways; strengthen libido and gland function, regulate heart pumping rhythm and boost neural transmitters in the BRAIN; A boon in dealing with glandular problems and harmonizing them with the nervous system. (See latest clinical test results proving 25%-35% INCREASE in IQ using colloidal gold. An important stabilizer of COLLAGEN. STRONG UNEQUALED EFFECTS ON PHYSICAL AND EMOTIONAL HEALTH! AND WELLBEING.